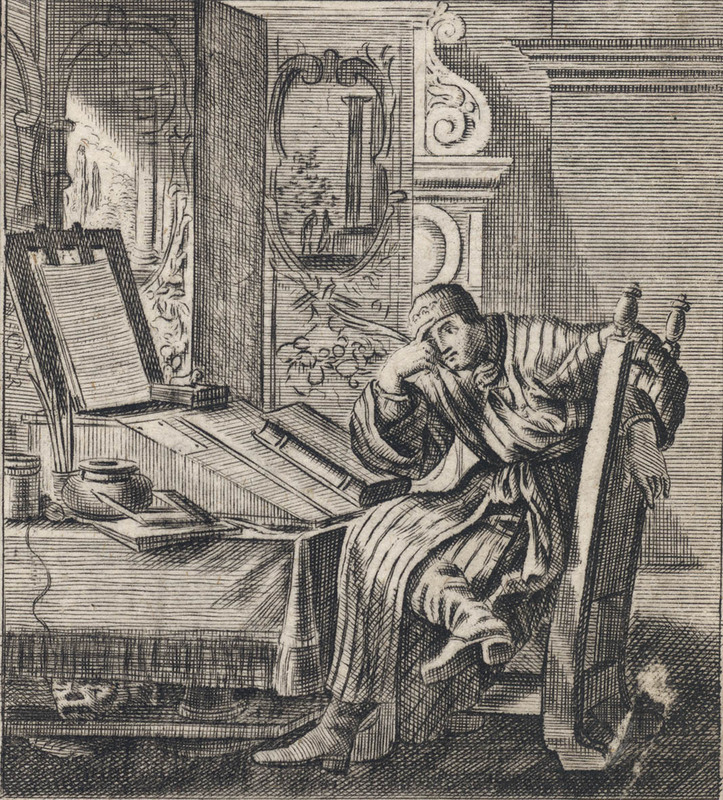 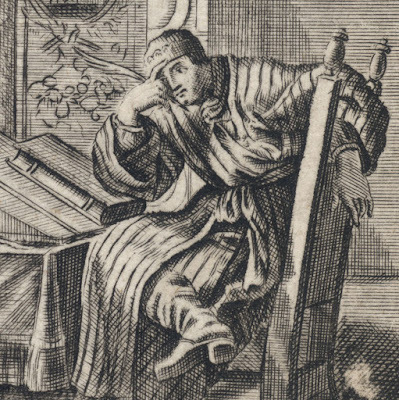 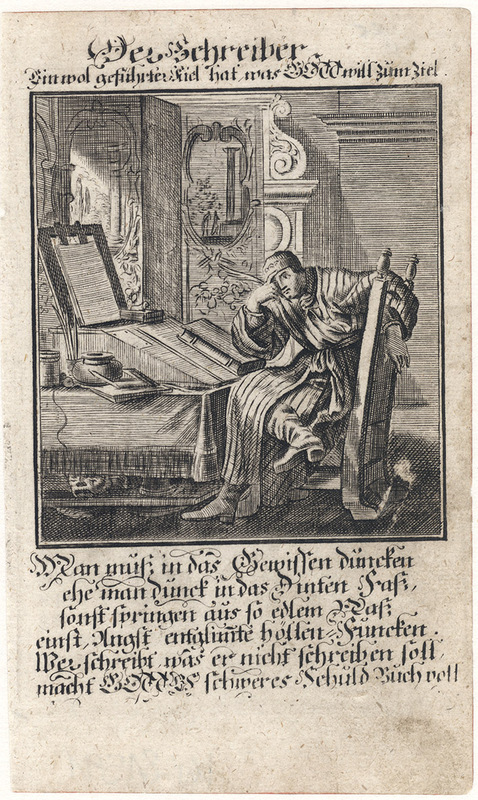 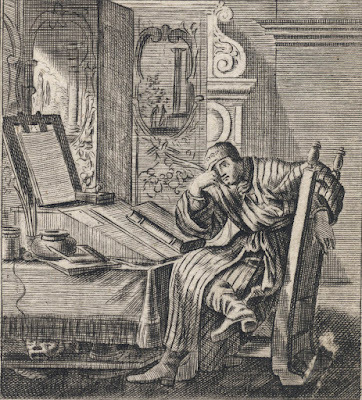 “Der Mahler” (The Painter), c1700, engraving after the etching, “De Schilder” by Caspar Luyken (1672–1708) after the intermediary design by Jan Luyken (1649–1712) as an illustration to a republished edition (in Nuremberg, c1700) of Jan and Caspar Luyken’s “HetMenselyk, Bedryf” (Human occupations), published in 1694, Amsterdam. 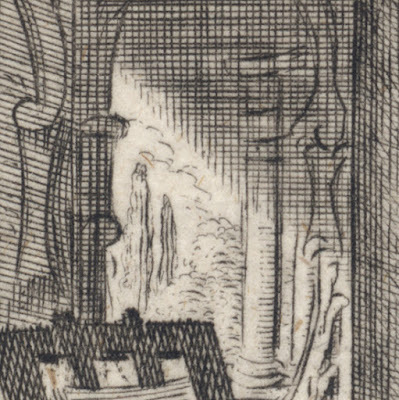 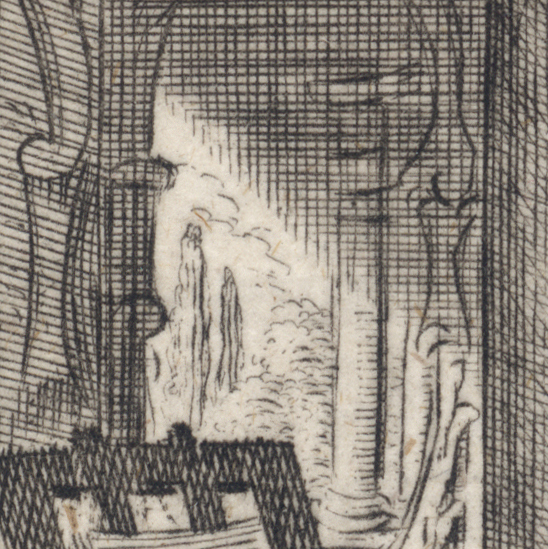 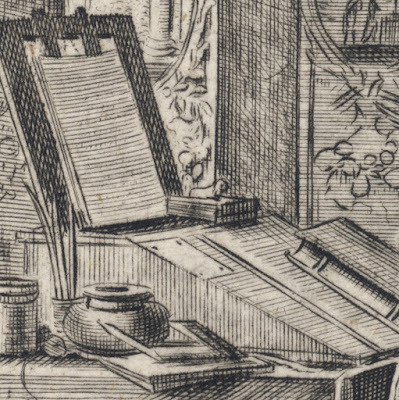 Engravings on fine laid paper with letterpress text and margins as published. 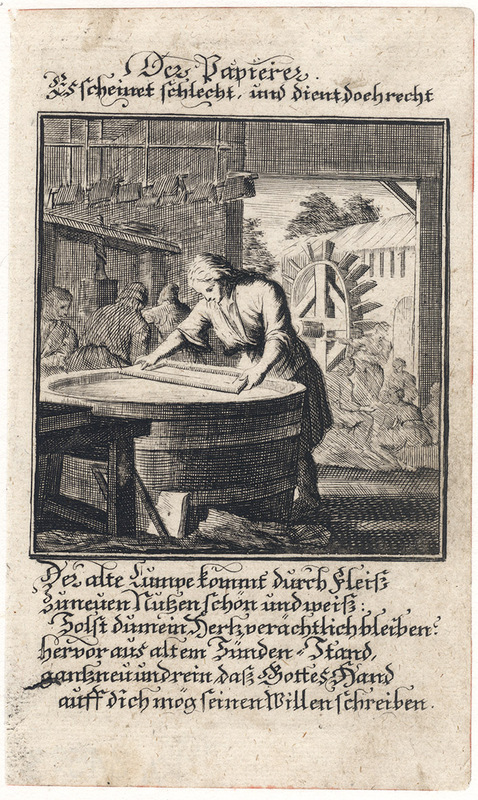 Condition: strong lifetime impressions with minor age-toning, staining and signs of handling. Each print is backed with a support sheet of archival (millennium quality) washi paper. I am selling all three engravings for the total cost of AU$268 (currently US$198.18 /EUR170.20/GBP150.46 at the time of listing these print) including postage and handling to anywhere in the world (but not, of course, any import duties/taxes imposed by some countries). 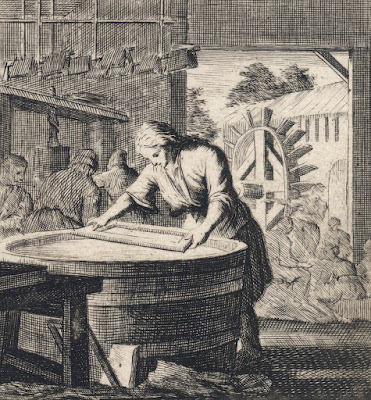 If you are interested in purchasing these fascinating and very revealing engravings of the practices of different trades at the end of the 1600s, please contact me (oz_jim@printsandprinciples.com) and I will send you a PayPal invoice to make the payment easy. 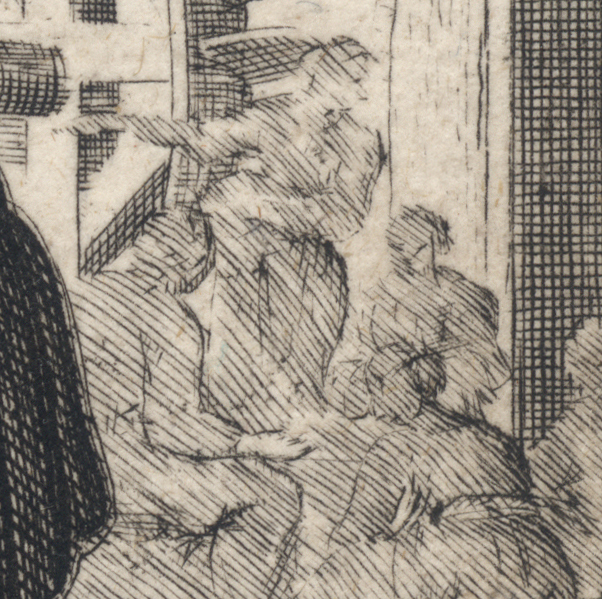 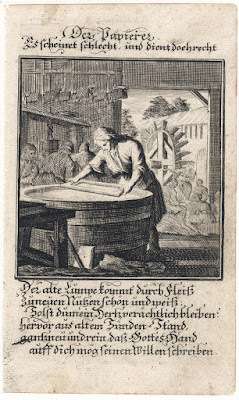 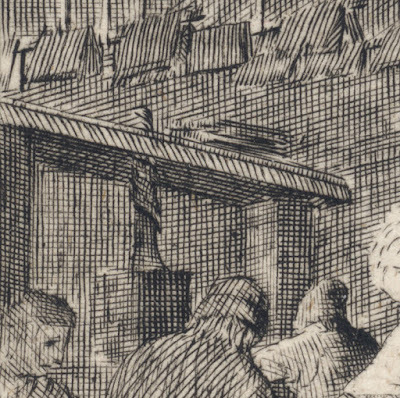 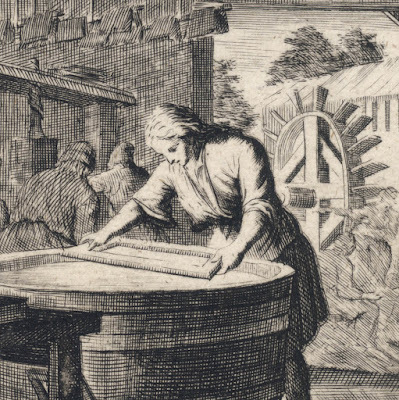 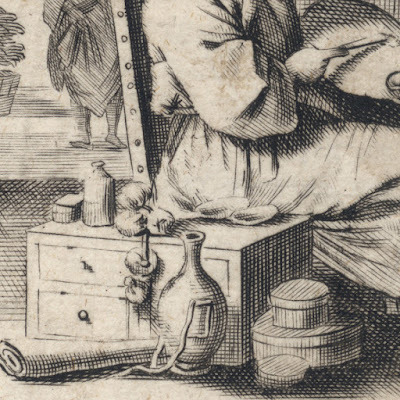 The series of 100 etchings featuring in Jan and Caspar Luyken’s “HetMenselyk, Bedryf” (Human Occupations), published in Amsterdam (1694), was popular as the prints gave a glimpse into the workshops of many different trades. 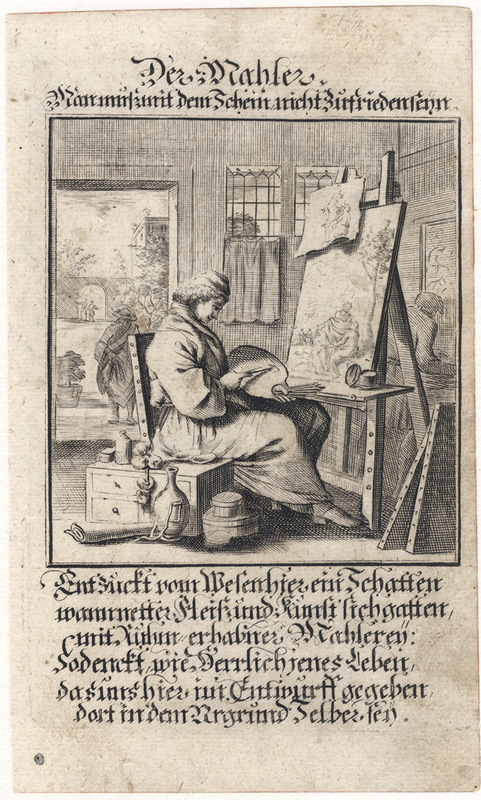 Consequently, the designs were reprinted several times. 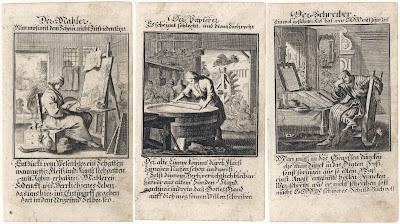 These three engravings are Christoph Weigel’s versions of Jan Luyken’s compositions published in Nuremberg at around 1700. 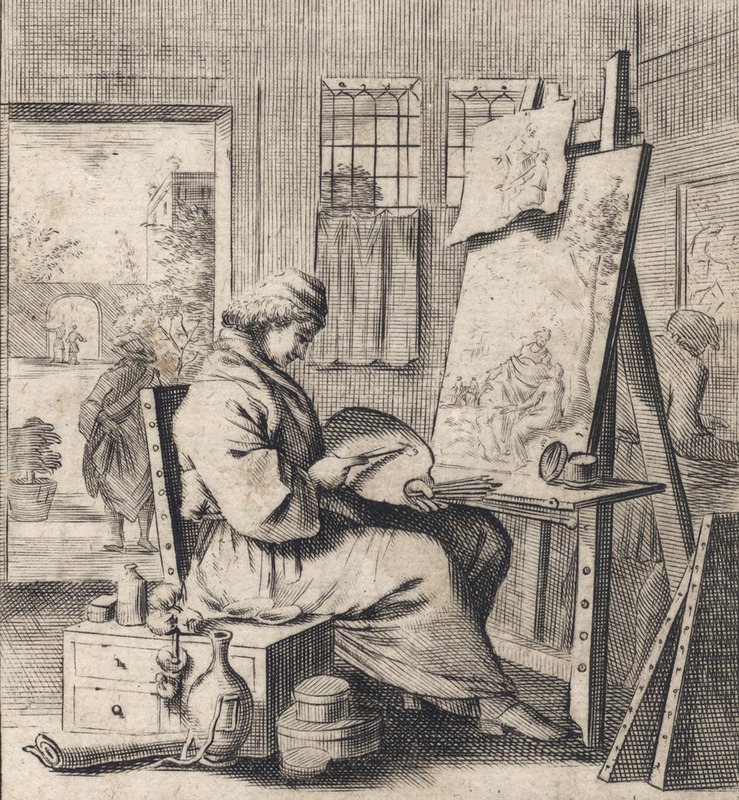 I am also aware of another set of the same designs by Anthonie de Winter (1652/3–c1707) whose series of engravings were published in Haarlem a year after Luyken’s etchings were published. 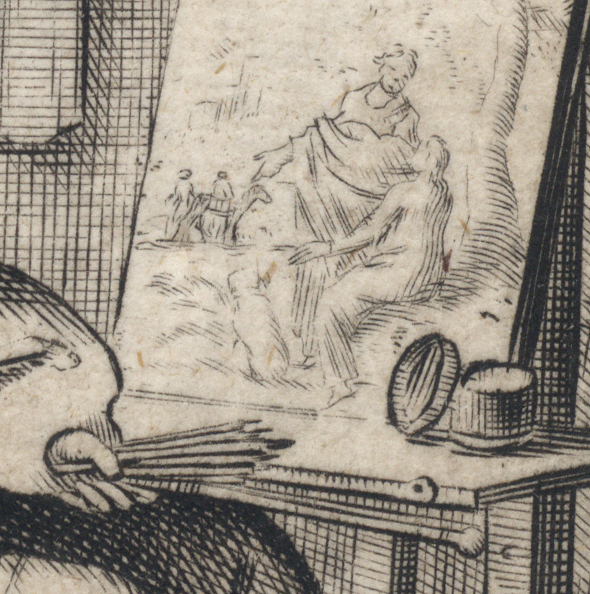 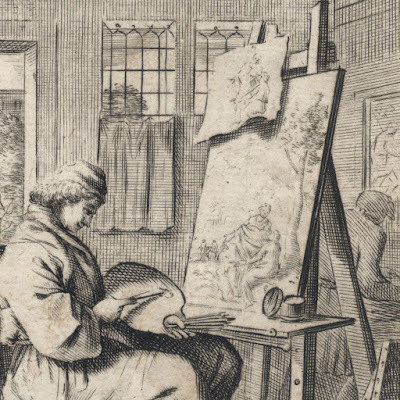 For comparison of the three series, see Caspar Luyken’s etching “De Schilder” (The Painter) held by the Rijksmuseum (http://hdl.handle.net/10934/RM0001.COLLECT.143904); De Winter’s engraving, “Shilder” (The Painter) held by the British Museum (http://www.britishmuseum.org/research/collection_online/collection_object_details.aspx?objectId=3435976&partId=1&searchText=Caspar+Luyken&page=1); and Weigel’s engraving, “Der Mahler” (The Painter) shown here.